Cut spaghetti squash in half lengthwise. Remove seeds .Place on lined parchment paper cut side down on baking sheet and bake for 30 minutes or until tender when you press your finger to it. Set aside to cool. Using a fork remove the threads and place in large bowl. 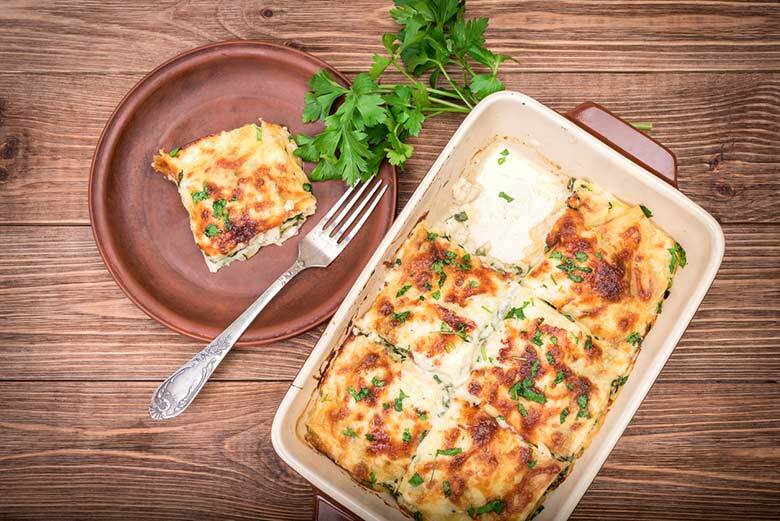 Grease a Lasagna baking dish with coconut oil or line with parchment paper. In a large saute pan over medium heat melt 2 tablespoons of coconut oil. Add garlic, carrots,celery, onion, jalapeño and bell peppers and cook for 10 minutes, until onion is translucent. Add ground chicken, garlic powder, salt and pepper use a spatula to break up chicken into small pieces cook until chicken is no longer pink around 8 minutes. Remove from heat. Whisk together the hot sauce and mayonnaise in a small bowl until well combined. Add the chicken mixture and spaghetti squash together in a large bowl mix in hot sauce and mayo mixture. Add everything into baking disk mix well. Bake for 1 hour or until the top forms a slight crust. Let rest 5 minutes before serving. Garnish with scallions and avocados.